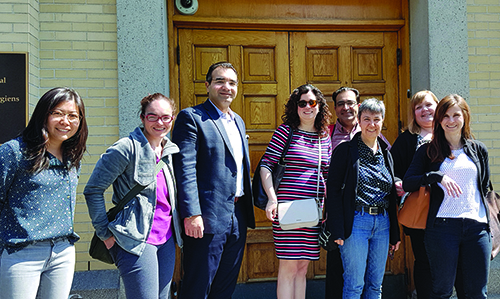 The education committee has undergone renewal with the development of four key subcommittees to help better represent one of the CRA’s key pillars – education (with care and research). This includes Continuing Professional Development (CPD), postgraduate medical education and undergraduate medical education along with the Canadian Rheumatology Education and Learning program (CanREAL) to help foster scholarly work in rheumatology education. These four arms are led by subcommittee co-chairs (Drs. Gregory Choy, Christopher Penney, Marie Clements-Baker, Michelle Jung, Lori Albert, Robert Ferrari, Mercedes Chan, and Sue Humphrey-Murto). They have all committed to this change in structure to help serve the needs of our association. Of course, this has all been enhanced by our excellent CRA staff. 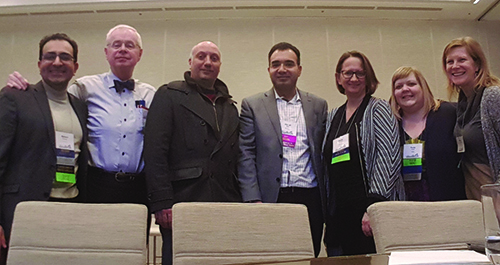 Continuing to help support and collaborate with the Annual Scientific Meeting Committee in fostering high-calibre, peer-assessed education for our membership has been a priority. Self-accrediting this important member activity enables and encourages us all to maintain this high standard. In addition to a focus on CPD, there has been additional CanREAL input, with their scholarly medical education expertise. Undergraduate medical education has been looking at the feasibility and potential development of a national rheumatology curriculum and/or learning objectives. The first steps are to collaborate with members across the country to evaluate this, and then assess the feasibility of moving forward. Postgraduate medical education has members engaged with spreading the word about Competence By Design (CBD), the Royal College implementation of competency- based medical education. This will be upon us – nationwide – in July 2019! Schools across the country are gearing up to assist community-based and university-based faculty to learn about this. Postgraduate medical education also hopes to ensure that members of our association are versed in this. With the January 31, 2019, Royal College Maintenance of Certification deadline looming, I encourage members to revisit the series previously published in the CRAJ, “CPD for the Busy Rheumatologist” in the Summer 2017, Fall 2017 and Spring 2018 issues (available at craj.ca), for tips on how to complete the requirements for your certification cycle. CRA Education Committee discussions with the CRA CEO, Dr. Ahmad Zbib. RCPSC Specialty Committee in Rheumatology members with the CRA CEO, Dr. Ahmad Zbib.